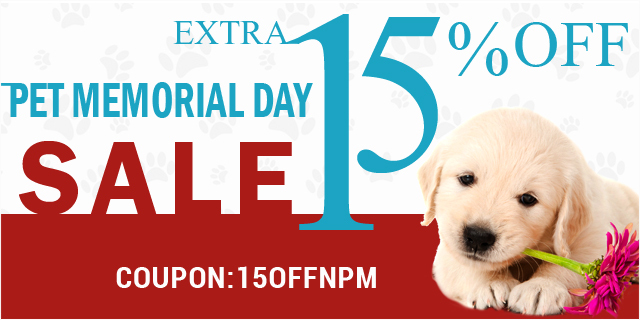 National Pet Memorial Day Sale- Best brands at 15% off on CanadaVetExpress! National Pet Memorial Day, celebrated on the second Sunday of September is meant to revive the memories of the pets that lost lives. Pet owners observe mass prayers or memorial services in reminiscence of their gone furry friends. This day of recollecting memories may be nostalgic for pet parents. 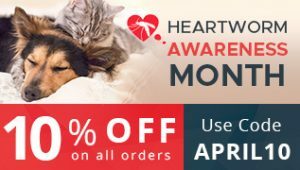 To give them a reason to smile and look after their contemporary pets, CanadaVetExpress is offering a discount of 15% on National Pet Memorial Day. CanadaVetExpress is one of the most affordable pet care online stores. At CVE, you may find the leading brands for canines, felines and birds. We have categorized our products into flea & tick control, heartworm control, joint care and wormers. We also offer pet supplements for nutrients and vitamin gain. The best thing of CanadaVetExpress is their trimmed rates. We are famously selected for our lower rates and an array of discounts. The National Pet Memorial Day Sale is our attempt to reach utmost number of pet owners of the country. Shopping at our store will leave you satisfied and happy as the products you may buy will have the best of qualities at supremely affordable rates. 15% site wide discount will further trim the already crashed prices. We also offer free shipping for all the orders, irrespective of its size. Therefore, this sale may turn out to be a jackpot saving opportunity for all pet owners. In all, on this pet Memorial Day, spending time for your living pets along with the remembrance of the dead may be a perfect idea. Choose your favorite treatments for your canines and felines and save 15% off your total bill. Enter coupon code: 15OFFNPM while checking out to claim your discount!